Living on campus can be tough, especially when there are limited options when it comes to spicing up a living area. But decorating dorm rooms on a college student budget can be easily done. One does not have to live with the plain white walls of the rooms assigned on moving day as there are many inexpensive ways to ensure dorm room bliss. Once the furniture is placed to liking, an inexpensive way to add some pizazz is removable wall stickers and chalk board decals. Decals are easily peelable and stickable allowing students to peel and stick their way to a happier more aesthetically pleasing living environment. Some might say sharing a bathroom can be more difficult than college classes, but that does not always have to be the case. Shower storage issues can be resolved by purchasing an extra shower curtain rod, shower curtain rings and a basket from the dollar store. 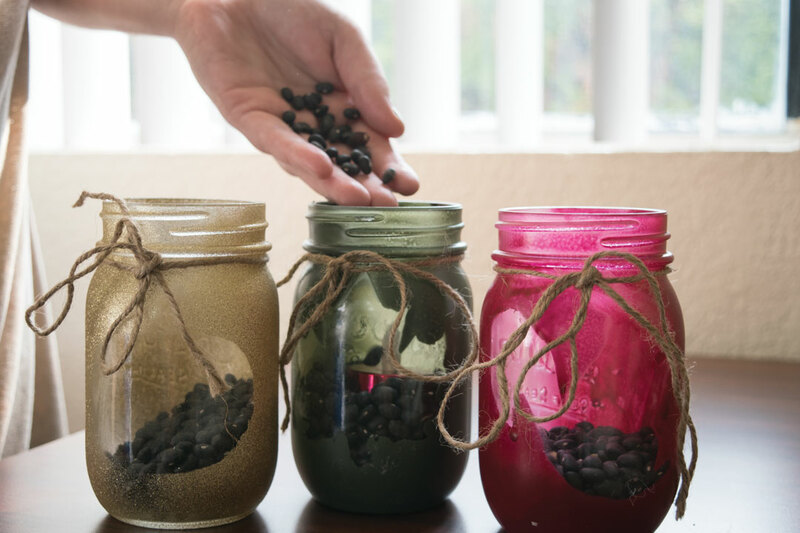 A hot trend for dorm room decor is utilizing Mason Jars for both decoration and storage needs. Mason jars make it easy to throw a strand of battery powered lights in the jar for the firefly effect or store anything from plastic spoons to cotton balls to make-up brushes. There is no need to feel intimated when it comes to decorating the on-campus dorm room or apartment; it can be easily done while still saving just enough money to buy a couple more bags of Top Ramen.